As a 2nd RD draft pick (2005) of the franchise, Chase Headley has pretty much been disappointment over the .last 2 seasons after setting the world on fire for the 2nd half of 2012. Headley led the NL with 115 RBI in 2012 amongst 31 HRs, Headley also captured a Gold Glove Award and Silver Slugger in 2012. He ended up finishing 5th in NL MVP voting. 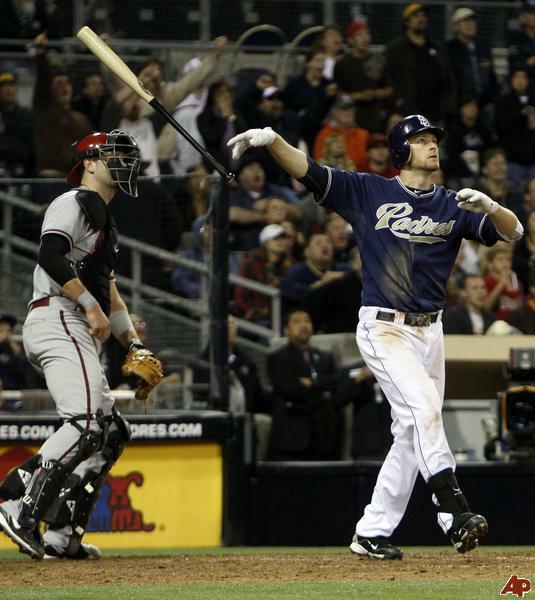 He hit 23 HRs and 73 RBI in just 75 Games after the 2012 ALL-Star Game.. Chase Headley actually fared well at Petco Park in 2012 – with a 3 Slash Line of .272/.357/.812. He added 13 HRs and 51 RBI. In 600 AB during 2013, the man only had an OPS of .747 – with 13 HRs. 2014 has been worse, with a .620 OPS, .204 BA – with just 6 HRs in 211 AB. The franchise has been criticized for not capitalizing on his 2012 year via a trade. At least they never gave him a huge extension. Omar Minaya, A.J. Hinch and Fred Uhlman Jr. took over the “office of the GM” on June 22nd, when the Padres fired Josh Byrnes from his post. In order to see if the canning was valid, one has to search through the transactions the man did under is tenure at the helm. Some of the current squad was brought in by Byrnes (hired in Oct of 2011, after Jed Hoyer left to take the GM position with the Chicago Cubs. although through the course of the Roster Tree, you will see some of the players go back to the Kevin Towers era. Crazy enough is that Byrnes was fired by Towers current team (ARI) as the GM in July of 2010. Towers is also responsible for some of the assembled roster in 2014 for San Diego. KT is one of several possible replacements candidates for the vacant SD GM job. It is a franchise that has made several ‘suspect’ trades over the last 10 years, and the drafting record hasn’t netted them the kind of ‘blue chippers’ to sustain a lengthy period of success despite drafting high a lot of years. San Diego’s club in 2014 is injury prone, hitters and pitchers alike, and are headed for a brutal campaign, already at 35 – 47 heading into games June.30, 2014. They are already 8.5 games behind the playoff bar. and 11 out of the NL West. For the past month, no team has been hotter than the Cincinnati Reds. Their pitching is incredibly deep and now they are starting to hit. A great second half is not out of the question. That and an exhausting weekend of baseball on today’s episode of The Sully Baseball Daily Podcast. Felix Hernandez, Homer Bailey, Matt Joyce, Pedro Alvarez, Carlos Beltran, Tim Hudson, Mark Buehrle and Marlon Byrd all added to their totals for Who Owns Baseball. Felix Hernandez threw his 9th straight start of at least 7 innings and at most 2 earned runs. Today’s game was 8 innings of 1 hit, 9 strikeout shutout ball of the Indians, earning the 3-0 win for the surging Mariners. Homer Bailey made a bid for his third career no hitter. He finished with a 3 hit complete game shutout and a 4-0 victory for the Reds in San Francisco. Matt Joyce missed the cycle by a triple, went 5-6 with 4 RBI, 3 runs scored and a pair of homers as the Rays offense went berzerk on the Orioles, 12-7. Pedro Alvarez went 2-4 with a 3 run homer, helping the Pirates past the Mets, 5-2. They owned baseball on June 29, 2014.